Map of Alsace and the Franco-German border from Switzerland north along the Vosges Mountains to Strasbourg. 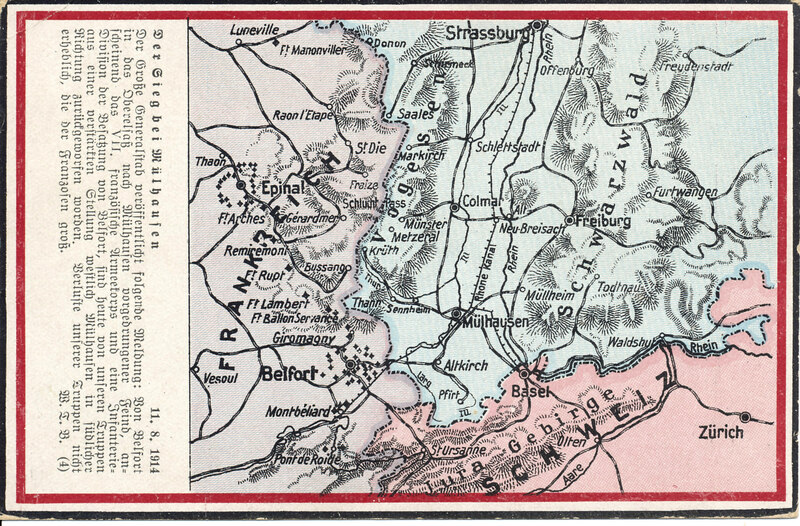 The postcard celebrates the German victory at Mulhouse on August 11, 1914, retaking the city from the French. Der Große Generalstab veröffentlicht folgende Meldung: Von Belfort in das Oberelsass nach Mülhausen vor gedrungener Feind, anscheinend das VII, französische Armeekorps und eine Infanterie-Division der Besatzung von Belfort, sind heute von unseren Truppen aus einer verstärkten Stellung westlich Mülhausen in südlicher Richtung zurückgeworfen worden. Verluste unserer Truppen nicht erheblich, die der Franzosen groß. 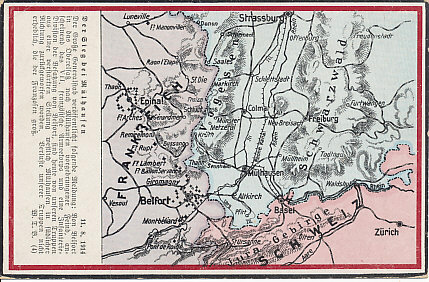 The Great General Staff issued the following message: From Belfort in Upper Alsace to Mulhouse, our troops have thrown back strong enemy forces – apparently the VII French army corps and one infantry division of the garrison of Belfort – from their reinforced position west of Mulhouse to the south. 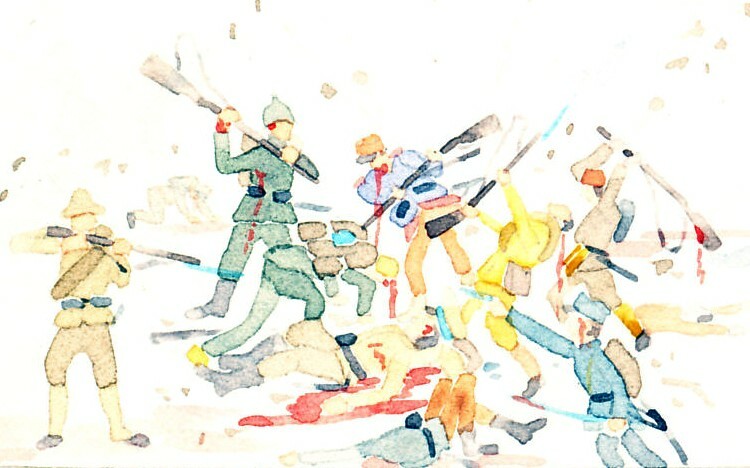 Losses to our troops are not significant, and comparable to those of the French.